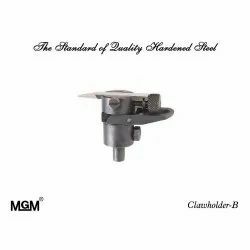 • This Full Top Claw Holder is used in Top Gear System Dop & Quickstep Multilevel Dops. • The Claw Holder has Screw in it to hold the claw and move its position. • Claw Holder is made of Hard Steel Material. • Pots can be easily changed as it can turn aside. • Claw Holder has spring to hold the Stone forcefully. • The Claw Holder is used in Top Finish Tangs. • We Manufacture the Best Quality of Claw Holder Range . • The Fix Claw Holder Is Used for the Safety of Diamonds. • It is used for Bottom Dops. It Decreases the risk of Flying out the Diamonds. • Its very Simple and easy to use Open the Screw to change the Facets and then Lock the Screw. 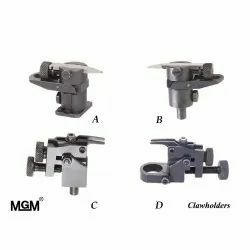 • Fix Claw Holder is made of Hard Steel Material. • This Holder is used in all types of shapes of Diamond . • The Revolving Claw Holder is used for the Fancy & Cross Shapes. 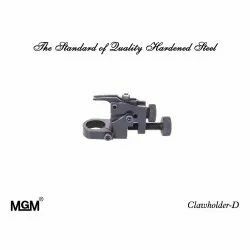 • Revolving Claw Holder is used in Bottom Dops. • This Claw Holder is Very Flexible to use in any of the sides or Directions. • Revolving Claw Holder is made of Spring Steel Material which is the Best Quality for it. Being a client-centric organization, we are engaged in offering a wide range of Diamond Clawholder. 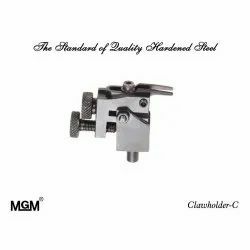 These products are considered to be the most commonly used tool in the diamond polishing process. The modern day polishing process largely uses the same traditional tools that have been widely used in the industry for decades. Clients can avail these claw holders at various dimensions and sizes as per their specific requirement.